Speedy Service – As a business, you want the commercial snow removal jobs you request to be performed in a speedy fashion and Clean Slate Landscape & Property Management, LLC can answer this request with ease. Since 2000, Clean Slate Landscape & Property Management, LLC has been offering exceptional commercial snow removal services to businesses large and small. Our staff will get in, get out and let you get on with the day’s business. Professional – Our staff here at Clean Slate Landscape & Property Management, LLC is extremely professional. 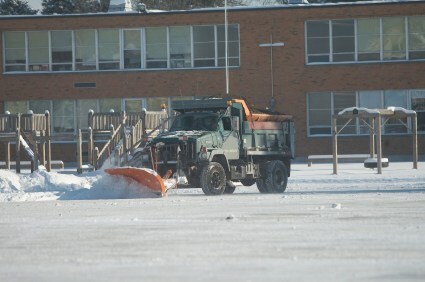 We take our commercial snow removal jobs very seriously and know that your employees and clients need and deserve a snow-free area when they come to your business. Our professional staff will do just that and get you the results you desire the first time around. Cost Effective – Snow removal doesn’t have to be pricey. Clean Slate Landscape & Property Management, LLC offers competitive commercial snow removal prices and will work with your budget to get you what you need at a price you can afford. Contact Clean Slate Landscape & Property Management, LLC today and see what commercial snow removal services are available to you. By simply calling (508) 669-7959 you can be on your way to securing a reliable, fast and cost efficient commercial snow removal provider. You will be glad that you did!